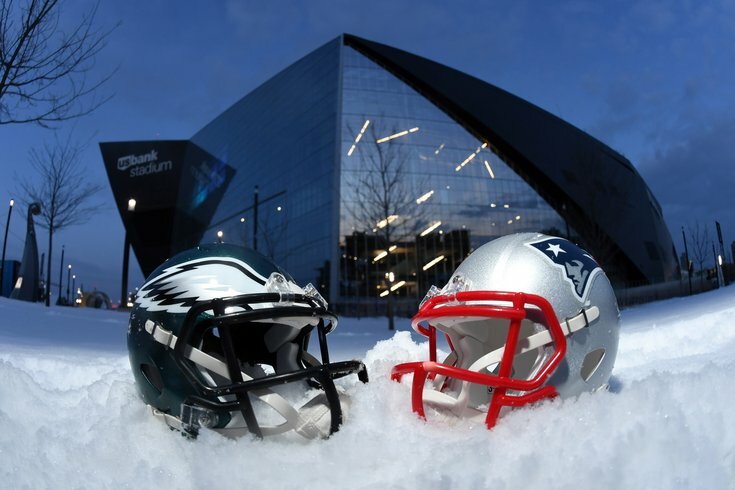 Philadelphia Eagles and New England Patriots helmets outside U.S. Bank Stadium, host of Super Bowl LII. These are fraught times in the bitter rivalry between Philadelphia and New England. The Eagles took down the Patriots to claim Super Bowl LII in February, but the Celtics now have an upper hand on the Sixers after two crushing losses in the NBA playoffs. Regardless of the outcome, it's nice to know that in matters of life and death, fans on both sides can still acknowledge each other's humanity. In a touching story out of New Haven, Conn., a lifelong Patriots fan was matched with a lifelong Eagles fan who was in desperate need of a kidney transplant, according to WTNH. Patricia Pizzimenti thought she was going to receive her daughter-in-law's kidney after she was given a promise last Christmas. They weren't a viable match for the transplant. That's when John Houlihan, the Patriots fan, was identified as a match for Pizzimenti. The procedure was successfully performed on March 8, a little more than a month after the Eagles defeated the Patriots. This week, the two met for the first time and shared a good laugh about their football allegiances. Technically, it's kind of true that a part of Pizzimenti is now a Patriots fan. That means it's also true that a part of Houlihan is now an Eagles fan. That sounds a lot better.